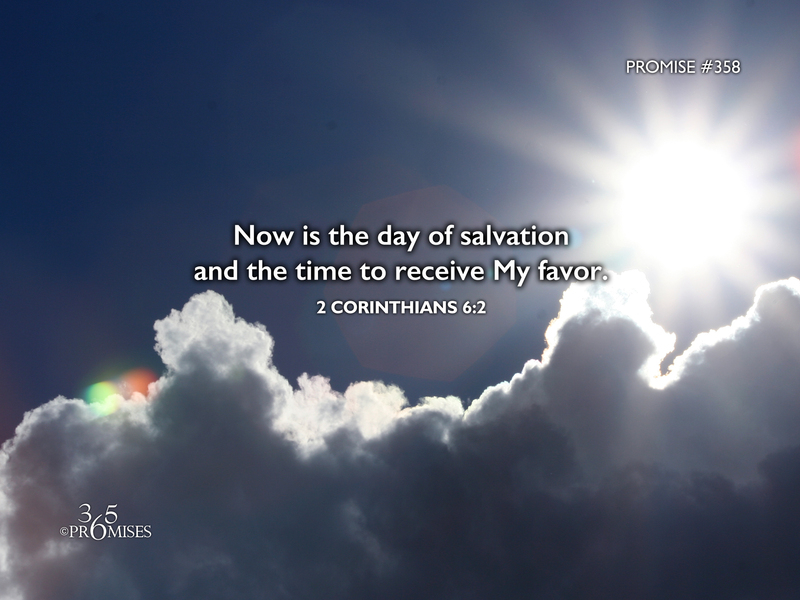 Now is the day of salvation and the time to receive My favor. for he says, “At an acceptable time I listened to you, in a day of salvation I helped you. ” Behold, now is the acceptable time. Behold, now is the day of salvation. The New Living Translation Bible translates 2 Corinthians 6:2 this way... For God says,“At just the right time, I heard you. On the day of salvation, I helped you.” Indeed, the “right time” is now. Today is the day of salvation. In Isaiah 61, the prophetic declaration of God's good news says that we are to proclaim the Year of the Lord's Favor. Adding to that, in 2 Corinthians 6:2, the Apostle Paul says that today is the day of salvation. Both scriptural references are now words. Words for today. Not tomorrow. Not next year. Today. Today is the day of salvation. Right now we are living in the year of the Lord's favor. May the immediacy of this promise impact your heart right NOW. My prayer is that faith would rise up in our hearts so that we would be able to appropriate the promises God has made for us right now. Today is the day of salvation!